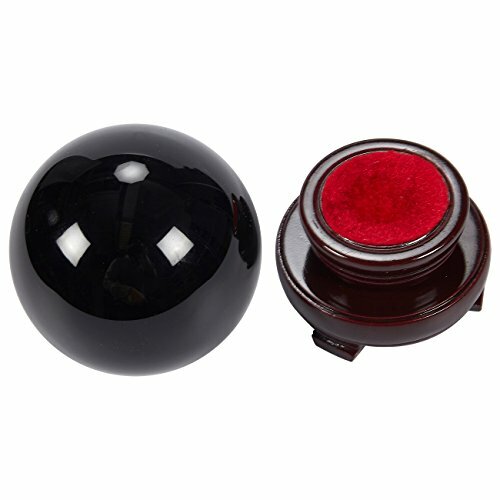 GLASS BALL: Dazzling black crystal sphere ideal to decorate your home or office. Includes a wooden pedestal for enhanced tabletop display. 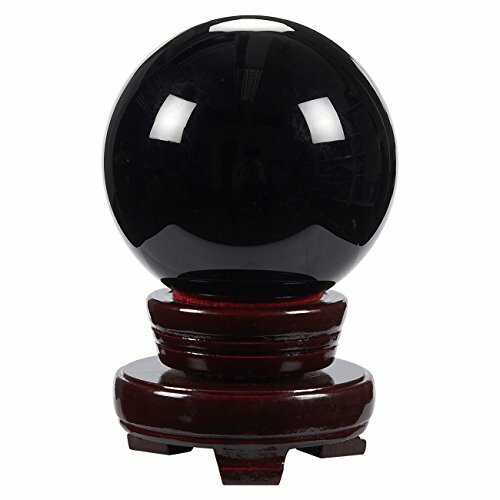 FORETELL THE FUTURE: These balls are perfect for the practice scrying and divination. Seek knowledge of the future and contact the supernatural. 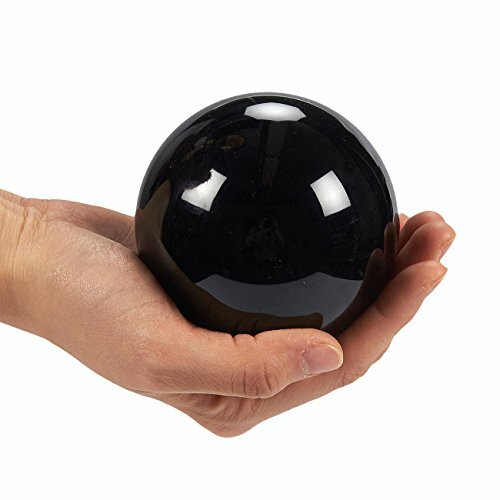 CRYSTAL DECORATIONS: The glass sphere is made of flawless black crystal placed on top of a wooden stand that will surely add a touch of elegance anywhere you place this crystal orb. 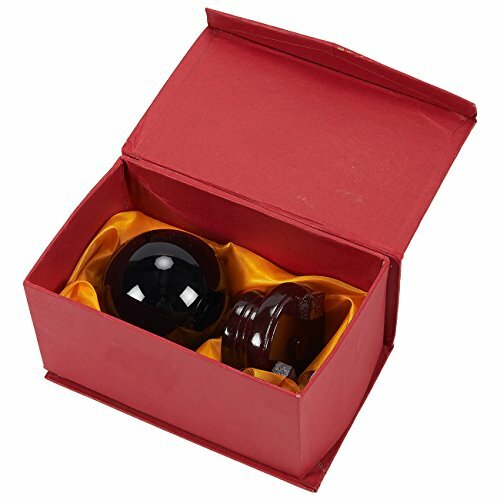 IDEAL GIFT: Glass balls are the perfect item for anyone interested in clairvoyance, fortune telling, collecting natural and healing crystals. DIMENSIONS: 4.5 x 3.1 x 3.1 Inches. Ball measures 3.15 inches in diameter.